Falling For YA: Vote for The Darkling in Round 2! 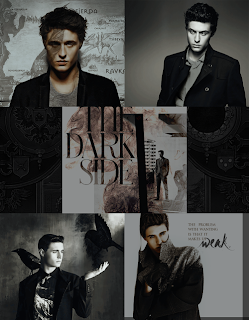 Vote for The Darkling in Round 2! The Darkling has made it to Round 2 of the YA Sisterhood's Summer Crush Tournament. I am so thankful for all of the support from the #DarklingsDarlings in Round 1 and I am going to need all of your help to win this round! The Darkling is up against Perry from Under The Never Sky and Through The Ever Night. I ADORE The Darkling. I love that he's the ultimate bad boy, but there is still something in him that makes me believe he COULD be redeemed. Plus, he's just plain HOTNESS defined. LOVE him.